Mercedes-Benz C220 Oxygen Sensor Replacement at your home or office. Mercedes-Benz C220 Oxygen Sensor Replacement costs $210 on average. What is the Oxygen Sensor all about? With each new model year, manufacturers are adding more oxygen sensors to better manage engine operation. Some high performance engines have an oxygen sensor for each cylinder as well as one for the rear of each catalytic convertor. The sensors are located either underneath the hood or underneath the car. The oxygen sensors are connected (screwed) to the exhaust pipe, either in front or back of the catalytic converter. The front (upstream) sensors measure the amount of oxygen in the exhaust system. The purpose of the front oxygen sensor(s) is to measure how rich or lean the gases are as the gases exit the combustion chamber. Depending upon whether the exhaust gas is lean (high in oxygen content) or rich (low in oxygen content), the amount of fuel entering the engine is adjusted by the engine management computer to try and maintain an ideal mixture that produces the lowest emissions output from the catalytic convertor. Rear (downstream) sensors are located behind the catalytic converter. The purpose of the rear oxygen sensor(s) is to monitor the oxygen content of the exhaust gases leaving the catalytic convertor. If one or more of the oxygen sensors are faulty, your car may not pass the emissions test. If you drive your car with a faulty oxygen sensor, you may get poor gas mileage and it can damage the catalytic converter. Many oxygen sensors are damaged by leaking oil or coolant. If that is the case, the cause of that leak needs to be identified and repaired, or else the replacement oxygen sensor will be damaged as well. New vehicles require specific oxygen sensors, and not the universal sensors that were common prior to 1996. Scan the computer in the car for codes. Inspect for vacuum leaks and holes in the exhaust system. Remove and replace the oxygen sensor if it is bad. Check for proper operation of oxygen sensors. Keep up with the tune-ups. If check engine light is on, don't drive the car too long without getting it inspected. If check engine light is flashing, pull over and get the car towed to avoid costly repairs. 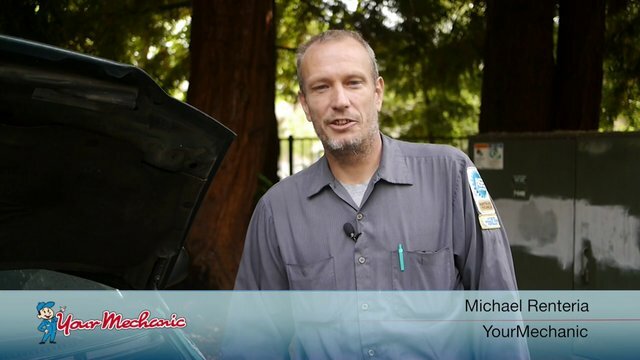 Ask the mechanic to inspect the vacuum hoses and leaks in the exhaust system. If the vacuum hose or exhaust system is leaking, it will display an oxygen sensor fault code. Replacing an oxygen sensor may not fix the problem. What common symptoms indicate you may need to replace the Oxygen Sensor? Car is getting poor gas mileage. How important is replacing the oxygen sensor? Your vehicle has multiple oxygen sensors, and they all help the car run optimally. The front sensors measure how much oxygen is in the exhaust stream to measure how rich or lean the gases leaving the gas chamber are. The rear sensors measure the oxygen content of the gases as they leave the catalytic converter. The oxygen sensors then relay this information to your vehicle’s electronic control unit, so that it can adjust as necessary. Because cars depend on an ideal fuel-to-air ratio to function optimally, the oxygen sensors are leaned on for engine performance. When your oxygen sensors fail your car will run less smoothly, get worse mileage, and have worse emissions.